Upper Mustang Trekking is one of the spectacular trekking into the Hidden Kingdom of Mustang. Trekking into Upper Mustang is a rare and privileged opportunity to experience the true life of the “highlanders” or the mountain people. Trekking in Mustang gives you a similar feeling of trekking in Tibet. Upper Mustang, having a topography and culture resembling Tibet is definatelysurprising and an exciting trekking region to trek on. The whole area has an isolated and mystical feel to it, enchanting and inspiring visitors to this region. The major attraction of Upper Mustang is the walled city of Lo-Manthang. Upper Mustang is consider as one of the most interesting and picturesque places in Nepal. Upper Mustang Trekking starts from Jomsom to Kagbeni, the entry point of upper Mustang Region. We follow the banks of Kaligandaki River upstream to get to Lo-Mangthang, the capital of the upper Mustang. The Upper Mustang trek passes through high peaks, passes, glaciers, and alpine valleys. The thousands years of isolation has kept the culture, lifestyle and heritage remain unchanged for centuries and to this date. The houses in Mustang are mostly made from stone and sun baked mud bricks. The city wall and the four storey palace in Lo-Manthang are some of the beautiful architectures of Mustang region. Another attraction in the Mustang region is the Tiji Festival influenced by Tibetan Buddhism, which is timed to coincide with the end of the dry season (late winter/spring). The Mustangi people have their own way of family life, which is quite surprising for many outsiders. All the brothers in the family are married to a single girl, what you may call a practice of polyandry. 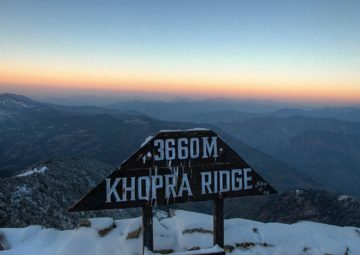 The Trans-Himalayan Mustang Region is also known as the Last Forbidden Kingdom, since the region was restricted for outsiders until Nepal Government announced the opening of the restricted areas in October 1991. The Mustangis or the people of Mustang call themselves Lobas, and they have their own King or Tribe-leader, Jigme Palbar Bista. Trekking in Upper Mustang region is under strict control and conditions stills persists in obtaining a special permit from the department of immigration to protect their tradition from outside influence as well as to protect their environment. Mountain Tiger Nepal takes you to one of the Trans-Himalayan regions with best designed itineraries allowing you to get a closer deeper insight into one of the oldest Buddhist Monasteries, ancient and isolated villages, while trekking in this region. Fly fom Kathmandu to Pokhara which takes approx 25 minutes flight or drive to Pokhara which takes approx 6 hours drive to reach Pokhara. Pokhara offers magnificent views of Dhaulagiri, Manaslu, Machhapuchhare, five peaks of Annapurna and others. 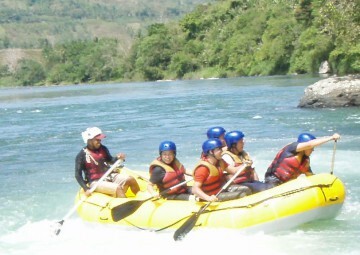 Pokhara is city of lakes and has numerous beautiful lakes. Explore around Fewa Lake in the afternoon -enjoy boating as well. After an early morning breakfast transfer to the airport for the flight to Jomsom. It will take about 25 minutes to reach Jomsom. During the flight you can view the gorge of the two huge Annapurna & Dhaulagiri. Jomsom is a large, bustling settlement and it’s the administrative centre to the region that contains the airport, army camp, hotels, shops, banks and government offices. From Jomsom onwards it is very windy in the afternoon, Continue on the gradual path on the Kali Gandaki river bed for about 3 hrs and finally reaching at Ekley-bhatti village. After good stop here an hour of easy walk takes us to Kagbeni, which lies at the bank of two rivers. Kagbeni is an interesting windswept villages situated on the main age old Trans-himalayan salt trade route to Tibet via Upper Mustang area. In Kagbeni a major tributory, Kak Khola, coming from Muktinath, meets Mustang Khola, and from there the river is called the Kali Gandaki. There is a trail up the east bank of the Kali Gandaki that climbs over many ridges as it heads north and reaches Tangbe village. The town is a labyrinth of narrow alleys amongst whitewashed houses, fields of buckwheat, barley, wheat and apple orchards. Nilgiri peak, which dominates the southern skyline at Kagbeni, continues to loom massively at the foot of the valley. Beyond Tangbe, we reach Chhusang village and crossing the river, continue climbing north up the trail to a huge red chunk of conglomerate that has fallen from the cliff above, forming a tunnel through which the Kali Gandaki flows. The trek now leaves the Kali Gandaki valley and climbs steeply up a rocky gully to Chele at 3050m. We start our trek today and walk further to Eklo Bhatti. We climb to Taklam La Pass (3,624m) through plateaus and narrow stretches with views of Tilicho Peak, Yakawa Kang and Damodar Danda. Further descend a little to the village of Samar. Climb the trail that goes above Samar village to the ridge then descending steeply to a stream. Another 3 hrs similar walk takes us to Syanbochen. On the way, we relax along the surrounding of cool streams and juniper trees. Locals use the dried leaves of junipers as incenses to invite deities and start any auspicious work. We also pass by a cave famously known as Ramchung Cave. After breakfast we trek uphill to the Yamda La (3,850m) passing a few teahouses, local villages. We cross mountain passes, and an avenue of poplar trees and fields of Barley. 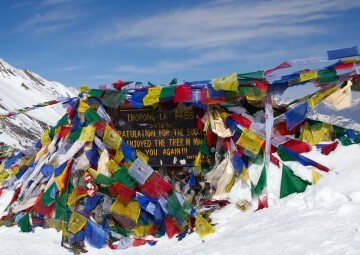 The climb to Nyi Pass (4,010m) would be a little longer. Descend to our overnight stop at Ghaymi. The third largest village in the Lo region, Ghayami is surrounded by large fields most of which are barren. After breakfast we start the trek with a pleasant walk. After crossing Ghaymi Khola, the trail climbs to a plateau and passes beside a very long Mani wall, a sacred stone wall made by the followers Buddhism. From the end of the wall the trail heads east to the village of Charang with a maze of fields, willow trees and houses separated by stone walls at the top of the Tsarang Chu canyon. There is also a huge white dzong and red Gompa to get to our teahouse for tonight’s stop. The trail first descends to Charang Chu Canyon and then climbs steeply after crossing the river. Further the trail ascends gently to the 3,850m windy pass of Lo, from where you can see the Lo-Mangthang Valley. While descending to Lo-Mangthang, views of the walled city appear magnificent with its hills. Today we explore the around Lo-Manthang areas. Visit Namgyal Gompa and Tingkhar. Namgyal Gompa situated on a hill top serves as an important monastery of the local community and also as a local court. After visiting Namgyal Gompa continue the tour to Tingkhar, the last main village to the northwest of Lo-Mangthang and stroll back to hotel. Or you may have another option to visit the Tall Champa Lakhang “God house” the red Thugchen Gompa, Chyodi Gompa and the Entrance Hall which are the main attraction of this town. Another attraction is the four- storey building of the Raja’s palace as well as the surrounding panoramic views of the Himalaya. While returning from Lo-Mangthan, we take a different route than that we came by. Trek to Drakmar via Gyakar with more than 1200 years old Ghar Gompa with Guru Rinpoche as the primary figure. The Gompa is also famous for its rock paintings. According to the legend, anyone who makes one wish at the Ghar Gompa, their wish is fulfilled. Explore the local area. Today, we get back to Ghiling as our journey for our overnight stay after a long walk takes 5-6 hrs. After arrival and lunch enjoy the day exploring the area, but it will be dusty wind in the afternoon, better to walk in evening time. We re-track back to Ghiling for the overnight stop after 5 hrs walk. You will have wonderful scenery during the journey with a Himalayan view. Our last day of the trek would be a bit long one. We will early start our trek to Kagbeni. Finishing the upper Mustang trails and we join the normal Annapurna circuit trek. And then we will head towards Jomsom . After morning breakfast fly back to Pokhara. Transfer to the hotel and explore around on your own. Evening walk around lakeside. After breakfast, fly back to Kathmandu. Rest day.In the evening dinner at Nepali cultural restaurant to observe the Nepali culture, tradition in the form of music. After breakfast, proceed for your final departure. Trip ends, return back to your home town taking with you the best memories of a life time…………..
All Airport and hotel transfer on private a/c vehicle as per the itinerary. Sleeping bag with liner, trekking map (sleeping bag are to be returned after trip completion).